Home MMA News Pic: Dana White just took off his shirt … and he’s huge! 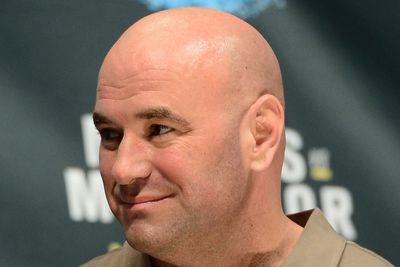 Pic: Dana White just took off his shirt … and he’s huge! As far as I’m concerned, jumping into icy water is like walking on hot coals. The trio can be seen out and about as part of the promotion’s new reality show “Lookin’ for a Fight,” which airs exclusively on the UFC Fight Pass digital network (preview). Our friends at SportsJoe.ie, for reasons not yet explained, paused the show long enough to screen cap White in nothing but his board shorts. Okay, maybe to all the meatheads in our audience he looks soft, but keep in mind that White is 46 and it’s hard to stay fit at that age, especially when you travel as often as he does. Perhaps this new revelation will keep those fat dummies in check?